R2T:197 How To Move Past Pain – Real. Raw. Truths. Isn’t it just easier to avoid rather than get to the bottom of what’s causing our tough emotions such as sadness, grief or shame? This may seem like an easier solution in the short run, but in the long run, carrying around these deeply embedded emotions can manifest in physical symptoms or maybe even health problems. It can also keep you “stuck” in many areas of your life. So, how can you process and release unhealthy emotions and move forward in your life? First, you must acknowledge your feelings even if they seem wrong, unjustified or unproductive. You cannot help what you feel and talking through those feelings with a trained therapist, coach, friend or family member helps diffuse their intensity and lessen the grip they have on your life. Second, stay out of the “victim” mode. Talking through your tough emotions is therapeutic, but there comes a tipping point where you need to let go of your victim “story” and move forward. Third, do not blame other people for your feelings. You are fully responsible for the way you feel and tell yourself “I can accept the way I am choosing to feel about this and I can also choose to feel differently if I want to.” Believe it or not, feelings are a choice and we all have the power to choose how we want to feel. Next, write it out. Journaling is a great way to express how you feel, process the emotions so you can let them go. The final step is forgiveness. Forgiving not about forgetting, rather it’s about shifting your own perspective about what happened so that you can move on. 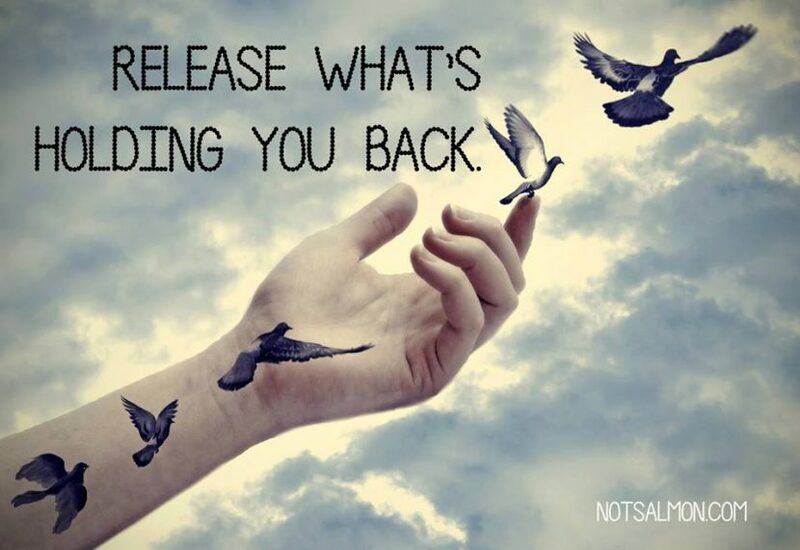 Letting go of the pain in your past will bring about physical and emotional wellness as well as inner peace.